Workshops that produce top producing sales people & managers. In return increase your net probability. In a dealership or company, motivating salespeople should be at the top of the priority list. Engaging your salespeople in sales training courses is definitely one of the right ways to go, and Richie Bello offers numerous onsite sales training courses at our beautiful greater Long Island location for the automotive industry. Once enrolled with us the salespeople are introduced to sleek sales training programs within our convenient premises where they can role play and rehearse using our green screen technology to help strengthen and tweak their closing techniques. Almost nothing works on an empty stomach so we provide our guests with Continental Breakfast and Gourmet Lunch during their training session. Experience and a few other encounters will teach you that within a dealership it doesn’t get better than having a highly motivated and skilled sales team. Richie Bello occasionally conducts workshops for interested sales team; an opportunity for salespeople to brush up on their prospecting skills, opportunity development, and negotiation strategies. Richie Bello and the team exercise their sales training skills utilizing the latest technology to create sales training courses where sales teams can rehearse and role play as they learn the sales skills to make them better closers and prospectors in the future. Does your business call for sales? 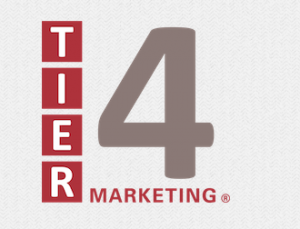 Are you looking to take your dealership to great sales heights? Then you need a highly skilled and motivated sales team of great salespeople to take you there. Remember only those that go to world class schools have that world class knowledge, so let our world class team brush your sales team up and get them closing sales like they should, we have a highly inspiring team ready to let your sales team in on techniques and tricks to enhance your abilities. Our sales training courses come in various forms; whether your prefer one on one sales training sessions or having these sessions in a group where everyone can provide constructive criticism, whichever it is USMMP has the solution for you. "If you are not training your team, someone else will"
These days, in dealerships the competition is between the sales teams; sales people are incessantly being challenged to bring and close deals within the dealerships. 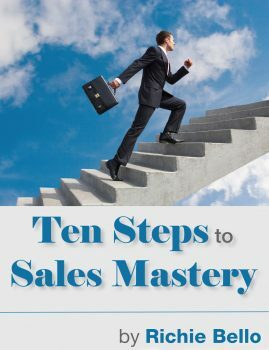 Remember this will be very unachievable if you depend on a sales team with little or no training; only a good sales training program can refine your sales people to begin to compete with the modern day sales people. In these times where credible sales coaches are few Richie Bello stands tall amongst numerous dealerships as the one who knows how to get a sales team working like they should with skill and motivation in the right proportions. Richie Bello Solutions has worked with some of the best start-ups in the business and rumors have it that he presents the best ROI value. We specialize in understanding the SSS sales model and provide sales team training and Seed Strategic Solutions that immediately impact your sales funnel and set the foundation to scale your sales organization for long term predictable revenue. The Internet Car Salesman Workshop !!!! And much more will becoming your way! Sales Coaching Training transforms the traditional role of a sales manager. USMMP Elite Training Developmental Sales Coaching Program transforms the traditional role of a sales manager from being a boss to being a coach. Using a four-part Developmental Sales Coaching Framework, sales managers learn to provide more than a typical evaluative performance review that provides feedback a few times a year and instead offer developmental feedback every day that is directly linked to achieving business objectives. Using highly customized scenarios, sales managers practice the critical skill at the heart of Developmental Sales Coaching —“let them talk first” — in other words, instead of “telling” a salesperson what to do. A developmental coach uses a strategic process and questioning skills to help salespeople uncover obstacles and create their own solutions. The result for the sales team is a smarter, more skilled group who self-coach and more independently meet business goals so that sales managers have more time to devote to other critical priorities. Concurrently, the result for the organization is a culture that seeks and values feedback as an integral part of everyday business. Critical issues facing sales managers building an organization-wide coaching culture that drives business performance increasing potential to meet measurable business goals and change behavior based on creating a discipline of “everyday coaching”. Increasing sales and meet business objectives by building the single most competitive skill an organization can possess USMMP Elite Training Solutions Developmental Sales Coaching Training quickly delivers the processes and skills. Sales managers can immediately implement to coach their salespeople to a higher level of sales excellence. Usmmp has developed a flexible series of sales methods that addresses the challenges of today’s selling environment created by customers expecting more value and control of the sales cycle. 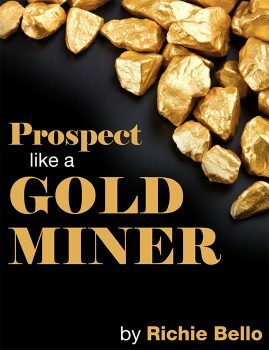 Our sales methodologies are important to both the sales people who want a simple sales training program to compete and win deals, and sales managers who want to ensure that their salespeople and/or resellers are pursuing high quality, winnable opportunities and the forecast is accurate and reliable. The first component of our sales methodology is the stages and high value activities that indicate to the sales person what needs to be accomplished in order to win new business. This component is typically known as “sales process” and while we look for common sales process steps across a sales organization we recognize that the timing of the sales process and some of the activities will be different depending on the complexity of the clients’ business or a division, for example Inside Sales vs. Channel Account Manager, so we customize our methodology to capture what is common and define what is unique. And because we know that “one-size does not fit all” our approach ensures that the sales methodology is 100% relevant to each selling role and reflects differences in global go-to-market strategies. The second component of our sales methodology is where Richardson provides significant advantage. We understand that it takes more than strategy and tactics to build relationships with customers and/or partners and win business. So we enable the sales methodology at each stage by providing the skills that even very experienced salespeople can use to have a more productive and deeper level of dialogue with their customers and partners. These are the “how to” transition from a product centric discussion to a more “business value” discussion where the customer shares their business objectives and challenges and the salesperson relates solutions to those challenges. The third component of our selling methodology is the practical tools that support salespeople throughout the process to qualify, pursue and win business and maintain and expand relationships including account plans, opportunity plans, value maps, relationship maps, calls planners and close plans. Our tools are powerful, simple to use, collaborative and can be fully integrated into CRM so that they are accessible in the everyday work stream of the sales person – which is critical to driving adoption of the sales methodology. The fourth component of our sales methodology is the verifiable outcomes. These are road signs that indicate the customer is engaged and buying in and the opportunity is truly qualified to move to the next stage. These verifiable outcomes are where managers need to be spending their time coaching. They are considered leading indicators of performance. It has been said that salesmen are born, not made. While certain inborn traits and personalities do appear to enhance sales strengths, an appropriate automotive sales training is necessary to enhance the good personality traits and improves the productivity of your sales person. The Meeting. A good salesperson knows the “right” way to meet a new customer. A welcoming greeting sets the tone for the rest of the interaction between the salesperson and the customer. Sales training offers tips on ways to put a customer at ease and establish rapport quickly. Measuring/Qualifying the Customer. This section establishes methods to determine what, exactly, the customer wants and what is on the lot to “fit” those desires and needs. Sales training courses will teach the salesperson the right questions to ask and the way to ask them. All questions, for instance, need phrasing to obtain a positive answer and/or give a choice. Such a question could be, “Will your new car be mostly for business or pleasure?” Learn the methods to establish the right car and price range for the customer. Selecting the Vehicle. When trying to close a used car sales, after you know what the customer wants and/or needs, show him/her the best that you have in that area. Keep in mind the customer may already know this information from an online search or a friend’s referral. You, however, knowing your product, may have options the consumer doesn’t know about. Negotiating the Sale. Tricks for negotiating the sale of a vehicle abound. Many of these tricks, however, may involve hard selling, avoidance of full disclosure or downright misinformation. Training teaches ways to negotiate the sale in positive, honest and straightforward ways. Such ways bring customers back and get good referrals. Closing the Sale. By this point, a sales person might assume the going is easy. Good sales training points out the potential miscues and problems which might arise at this point, plus ways to avoid them. Off the Lot. Sales management doesn’t begin or end on the lot. Your sales people need to know how to network outside of work how to cultivate potential customers and follow-up on the “car sales leads” that frequent the lot within their sales city. Creating the “Likeable” Personality. There are many ways to help sales persons achieve an approachable personality and maintain a positive attitude in a high-pressure job to help in their sales marketing. You’ve got a good sales team, but want to make them even better? Our Sales Training programs are the way to go. Improve your sales people, improve the sales. Get good sales training for them today with Richie Bello and team. Do you have the right people in the right places, with the right sales processes, and can you coach against the right metrics? USMMP talent management solutions encompass consulting, assessment, and measurement to help clients understand the abilities and weaknesses within their sales organizations so they can deliver results aligned with their business strategy and market promise. We work together to define key sales success drivers and focus on improving those few activities that matter most. We define your current state, ideal future.